Vodafone, Telefónica and Deutsche Telekom are to launch a joint NFC payments service under the Mpass brand name early next year, beginning with NFC stickers and then moving on to NFC phones. Vodafone, Telefónica O2 Germany, and Telekom Deutschland — the unit of Deutsche Telekom which operates the T-Mobile network — are to launch an NFC sticker-based mobile payment solution in Germany from early 2012. Speaking to NFC World, Deutsche Telekom stated that NFC is an important area for the company, and one it is introducing to the German market in a staggered approach, beginning with the NFC sticker solution which will be rolled out under the Mpass brand next year. Mpass is an existing SMS-based mobile payment brand created by the three German mobile network operators which allows customers to make internet purchases with their mobile phones and charge the cost to their bank account. A spokesperson for Deutsche Telekom explained: “NFC is a topic of high interest for Deutsche Telekom. The technology will prospectively be part of new smartphones and contactless infrastructure, such as at point of sale, and will become established in local markets. The regional focus of Mpass means NFC will become a common feature in targeted areas, enabling consumers to interact with contactless services regularly during daily life, helping to drive the user experience of those services, noted Deutsche Telekom. The sticker-based solution is not a trial, the company says, so will continue indefinitely and will be available to all mobile users. 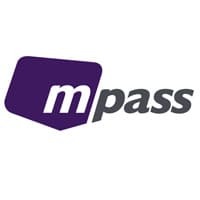 The move will see the three mobile network operators creating a new company to run the Mpass system, one in which each of the companies will have a shareholding. The new company will manage sales and marketing activities and promote the development of new products.